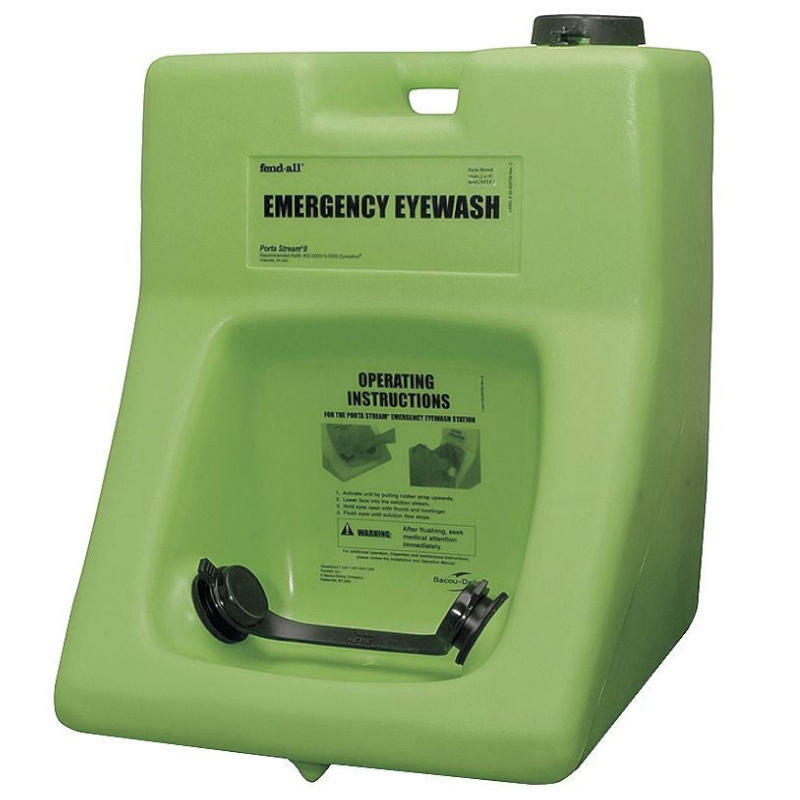 The Fendall Porta Stream ll is a 16 gallon gravity-fed eye wash station which delivers the 15 minute flow according to the ANSI Z358.1-2009 standard. It is versatile and can be hung on a wall or can sit on a cart or shelf so it can be placed near any workplace hazard or work area when needed. It has a large lockable fill cap which makes refilling and cleaning simple and reduces the risk of tampering.